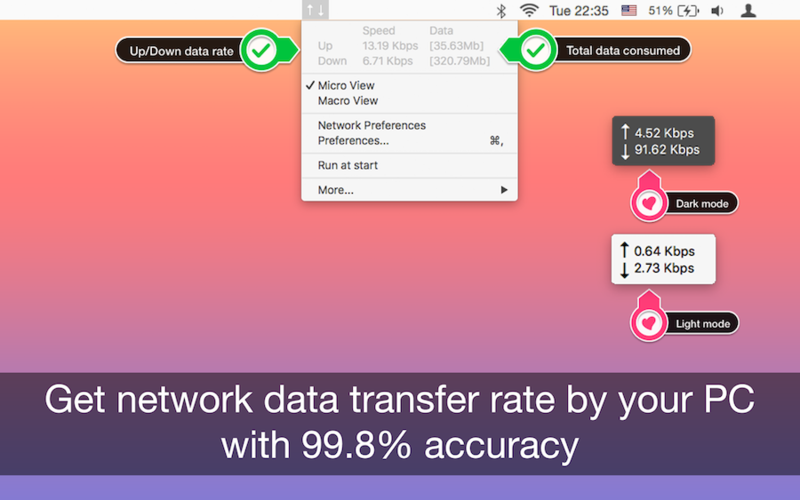 See the network data transfer rate from your personal computer. 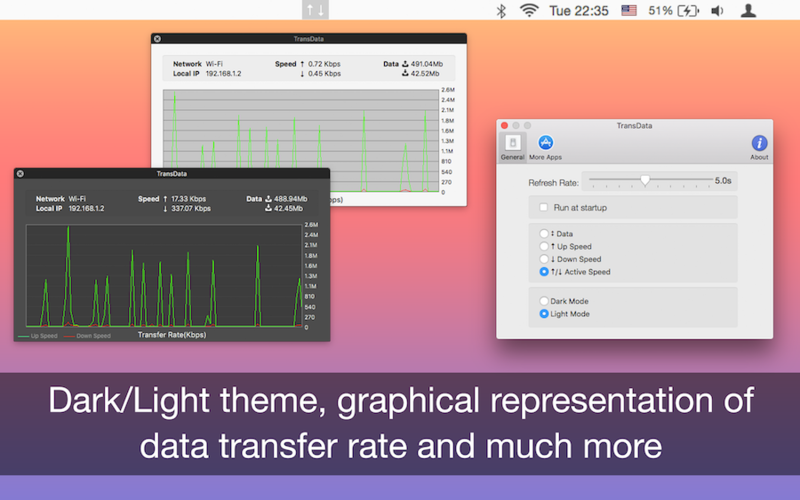 This utility adds data transfer rate with icon and transfer rate in Kbps or Mbps on the menu bar. – Display total data used by PC from the start of session. – Beautiful widget which shows up/down data which you can place anywhere on your screen. – Shows data rate on a graph with respect to time. – Beautiful user interface with dark/light themes for graph and widget. – Its an essential utility which every PC should have to monitor data rate with usage over an interface.